Frank Adams with Myles Horton, Seeds of Fire: The Idea of Highlander (Blair, 1975). Katherine Charron, Freedom’s Teacher: The Life of Septima Clark (UNC Press, 2009). Septima Poinsette Clark and Cynthia Stokes Brown, Ready from Within: A First Person Narrative (Red Sea Press, 1990). John M. Glen, Highlander: No Ordinary School (University of Tennessee Press, 1996). Faith S. Holsaert, et al., eds., Hands on the Freedom Plow: Personal Accounts by Women in SNCC (University of Illinois Press, 2012). Patrisse-Khan-Cullors and Asha Bandele, When They Call You a Terrorist: A Black Lives Matter Memoir (St. Martins Press, 2018). Grace Jordan McFadden, “Septima P. Clark and the Struggle for Human Rights.” Women in the Civil Rights Movement: Trailblazers and Torchbearers 1941-1965. Ed. Vicki L. Crawford, Jacqueline Anne Rouse, and Barbara Woods. Bloomington: Indiana University Press (1993), pp. 85–97. Lynne Olson, Freedom’s Daughters: The Unsung Heroines of the Civil Rights Movement from 1830-1970 (Scribner, 2012). Barbara Ransby, Ella Baker and the Black Freedom Movement: A Radical Democratic Vision (UNC Press, 2005). Keeanga-Yamahtta Taylor, ed., How We Get Free: Black Feminism and the Combahee River Collective (Haymarket Books, 2017). Rev. 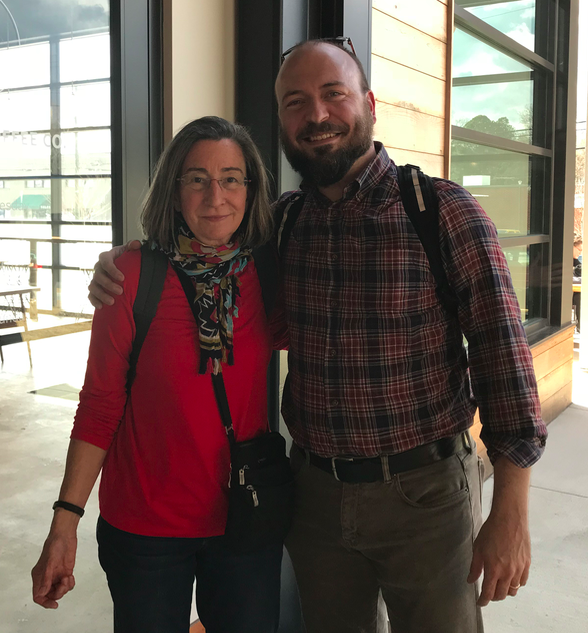 Allyn Maxfield-Steele was recently in Atlanta and I met with him to learn about the plans for the new Septima Clark Learning Center that will be built at the Highlander Research Center in New Market, TN, where he works as co-director with Ash-Lee Woodward Henderson. 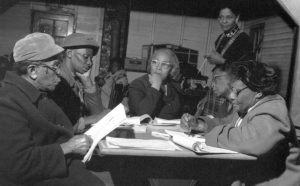 Septima Poinsette Clark (1898-1987) was an educator and civil rights activist, and served as director of workshops and the Citizenship Schools Program at Highlander. 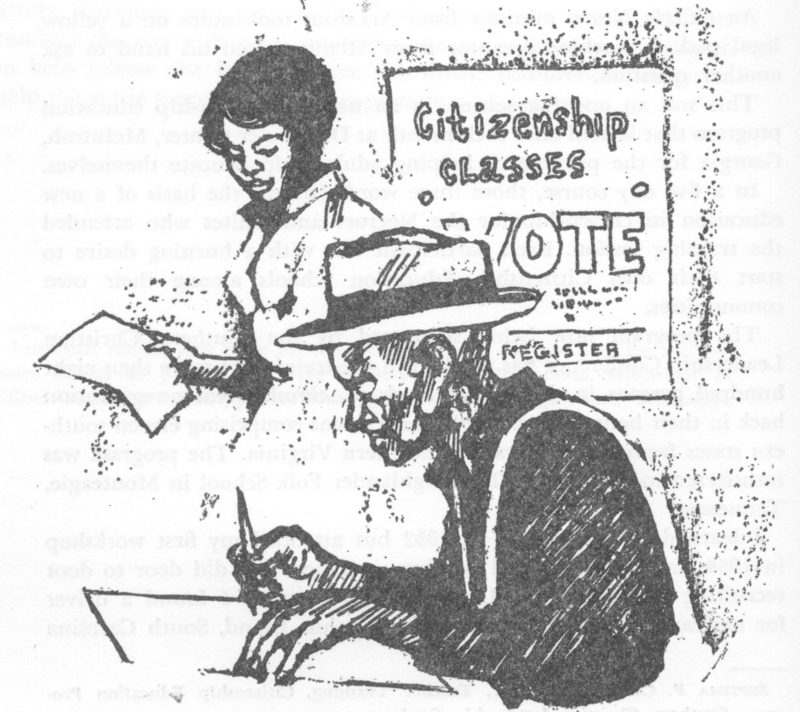 In 1961 the citizenship schools moved over to the SCLC and Septima became its director of education and teaching. 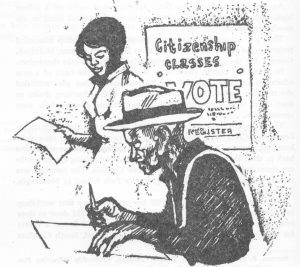 Septima’s cousin, Bernice Robinson, attended a Highlander workshop in 1955 with Esau Jenkins and helped to start citizenship schools in Septima’s hometown of Charleston. 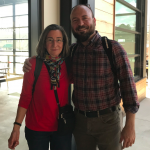 Septima’s teaching philosophy was to teach people to teach other people, which forms the heart of popular education pedagogy at Highlander. The new learning center will honor her legacy by providing space, materials, and spirit for movement builders into the future. Opening theme music is by Aviva and the Flying Penguins and performed by Aviva and Lance Erik Haugan. Music for the ending credits is “Rise Up” by Audra Day, performed by Agnes Scott College student Victoria Martin of the Joyful Noise Gospel Choir and accompanied by Dr. Nathan H. Grigsby, James T. and Ella Rather Kirk Artist Affiliate and Director of Joyful Noise, at the occasion of the Teach-In for Economic Justice at Agnes Scott on Feb. 16, 2018.